Ever get in a conversation about religion or politics, the only meaningful conversations, and get asked what you like or dislike about a person or topic, but just can't verbalize all the reasons? We've all been there. Here are a few talking points on Christianity that are brief enough to remember during those "moments". Everything that exists has a cause. Infinite regress is impossible. Therefore, there must be a first cause. The universe appears to have a design. Therefore, there must be a designer. There are morals that guide us (laws). Therefore, there must be a law giver. Consistency - Different authors, different cultures, different centuries, but the Bible is consistent throughout. The Apostles - They were transformed from a few frightened men to individuals who died for One whom they believed to be God. No one would die for a lie. Transformation of the World - The teachings of a young rabbi in an obscure part of the world is still taught and believed today by a large percentage of the world's population. First, a little background. 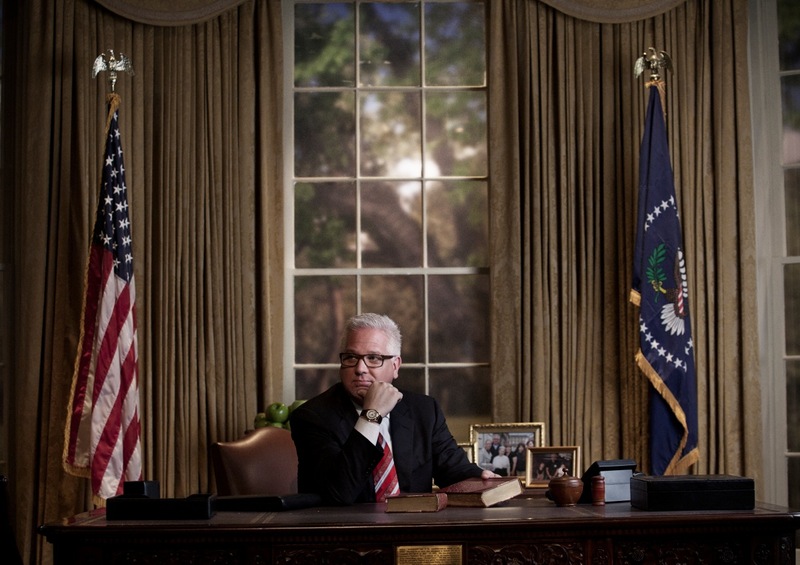 We all know Glenn Beck and what the Oval Office is, but what on earth is the White Horse prophecy and what does it have to do with the aforementioned Beck? The White Horse prophecy is purported to be the prophetic utterances of Joseph Smith, the founder of the Mormon religion. You see, Mormons hold the Constitution of the United States in high esteem as we all should. However, as much as we believe it may be one of the best documents ever penned by uninspired man, they tend to think it is a bit more than that. This is where the prophecy comes in. When the United States is going through dramatic turmoil and the Constitution "hangs by a thread"; "When the people shall have torn to shreds the Constitution of the United States the Elders of Israel will be found holding it up to the nations of the earth and proclaiming liberty and equal rights to all men", at that time, Mormonism, or a Mormon, will save the Country and restore it. Who will these Mormons be? Perhaps a President (Joseph Smith ran for President) or perhaps it will be a charismatic speaker who will turn the hearts and minds of the people to its first principles. Does Beck want to be President? Probably not. 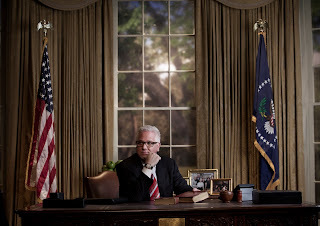 Is he an egomaniac picturing himself as President by purchasing an "Oval Office" from the JFK movie set? Maybe. Or is he a committed Mormon seeing his country spiral down to the point that it is "hanging by a thread" and he will be the one who will bring us back. He has many good ideas and the fundamentals he espouses are quite altruistic. We should follow them. But his ideology are not purely (or at all) Christian. One will not detect the doctrines of his church when he speaks. He keeps those very much in the shadows while espousing thoroughly orthodox Christian values. Who is he? Is he his words or is he what he says he is, a Mormon. Research what Mormons believe. Research the White Horse Prophecy. Listen to Beck's words through the prism of his church rather than his actual words and you may get a slightly different agenda than you thought. Hate to put something up directly from the RNC, but this video was too good.